God our eternal designer, the architect and sustainer of the universe, of all reality, of space and time, and of the human body and soul, came into his own creation as a human. Imagine all the great writers and painters, and all the books and paintings they’ve created. 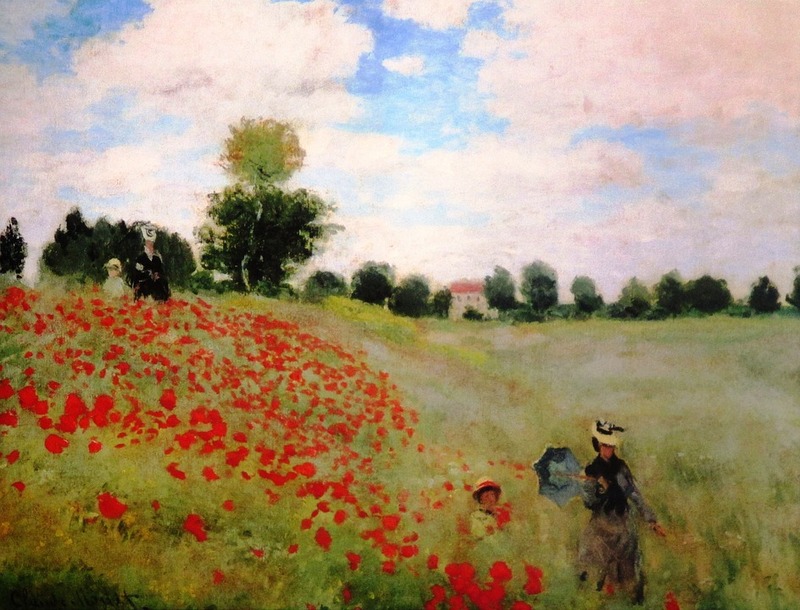 Imagine if Monet, could jump into one of his own paintings, and walk the majestic the trails through the hanging gardens. 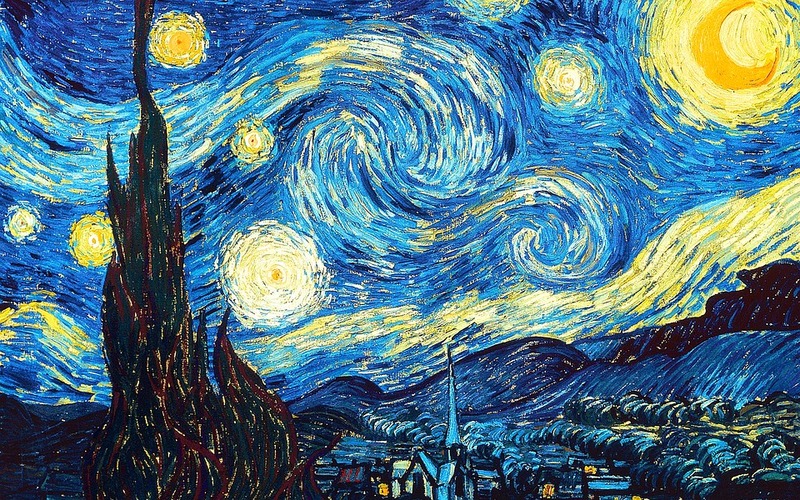 Imagine if Van Gogh could finish a painting, and then climb into the canvass, and walk around inside his own artistic creation. Imagine, if C.S. Lewis or J.R.R. Tolkien could slip through the wardrobe, or fly on eagle’s wings into the land of middle earth. Well, we worship a God, a creator, a sustainer of the universe, and our home, this planet, who not only carefully designed the mathematics, architecture, science, and laws of physics for our universe, but upon creating the masterpiece of Earth, in all its nature, animals, and people, God, seeing his people lost and in trouble, decided he would come into his own creation, as a human, and come on a rescue mission to save humanity. All the way back to one of the oldest books of the Old Testament, the book of Job, we see reference to the future hope of when God would come into His creation to save us. Job said, “I know that my redeemer lives, and one day he will stand upon the Earth.” Job was saying and knowing that Jesus was indeed alive even during his time, thousands of years before the virgin birth, and he was also saying that he knew God would one day stand on the Earth. And that’s what we celebrate, is the fact that God came in human form to save us. The implications of this fact are far reaching. It could be said that the three short years of Jesus’ life and active ministry did more to transform the world than any other person in history. It only took three years of active ministry, for Jesus to bring forth a message that would take root in a few thousand disciples, and then spread into the Roman empire and far beyond, across the entire planet, across country lines, across language boundaries, and all the way to the other side of the planet, to where we are in Rochester, Minnesota, today, where we center our lives on this Jesus Christ who lived two thousand years. We don’t overcome the kingdoms of darkness by marching with guns and armies to defeat it. Instead we do things like serve homeless people food. We share the gospel with people we meet in the community. We share scripture on social media. We invite friends over for dinner. We pray for the salvation of our families, friends, and community. Similarly, it was surprising to the ancient nation of Israel that Jesus Christ came not as a conqueror with millions of angels at his side, but came instead helplessly, as a little baby, born to insignificant young parents. He didn’t descend down in the clouds in a chariot of fire, he didn’t march on the gates of Rome with tens of thousands of holy troops arrayed in shining armor. Instead he came on a secret mission, the mission of the kingdom of God, that would not invade through warfare, but invade through proclamation, discipleship, and evangelism. The kingdom of God would spread through the word of God, because of what Jesus Christ would do. Jesus did not come in power, instead he came in weakness. He did not come through the wealthy and affluent, he came through the ordinary and everyday people. 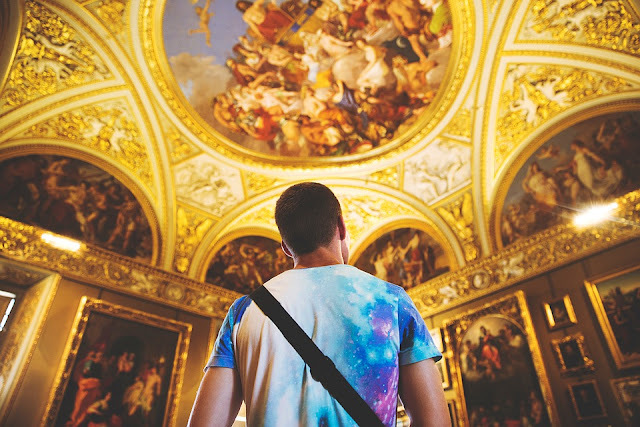 The church is often a motley crew, of outcasts, socially awkward types, foreigners, weirdos, and the seemingly rejected of the world who have become, and are becoming the family of God across the world. And I must admit, early in my life, around the age of 15 or 16, this is what I thought of Christianity. I thought Christianity was an old, outdated tradition, based on anti-scientific nonsense that needed to drift into the past and die. But when I researched the facts about Christianity later in life, I was absolutely dumbfounded. Did you know the New Testament scriptures are themselves more historically attested to than any other historical source? Did you know there are 5,868 ancient Greek manuscript copies of the new testament? Did you know that when compared to one another they are 99.5% accurate? The only differences between these manuscripts are minor spelling and grammar errors that don’t impact the meaning substantially. Did you know that Jesus Christ as a historical person is mentioned outside the Bible by all these ancient historians: Tacitus, Pliny the Younger, Josephus, the Babylonian Talmud, and Lucian among others. This is just historical and manuscript evidence for Christianity, we could go into scientific evidence for the existence of God, fine tuning in nature, the first cause argument, and irreducible complexity, but we don’t have time for all that today. But honestly, when I did this research and discovered all the evidence for Christianity, unlike any other world religion, I was angry. I was angry, because I had to ask myself the question: Why had no one told me these things? Why was this information hidden from me? And I came to the realization that in our modern society, media, and academia, there is a bias against God. So if the world out there is telling you to reject belief in God, don’t be surprised. We are revolutionaries in a time of mass marketed sin. All of this to say that yes, you can believe in Jesus Christ, who was born and lived two thousand years ago. You can know that Christ is real. We’re not here to celebrate a mythical nativity tradition, but a historical nativity that is factual and evidential. So Jesus was born in Bethlehem. We know a lot about his birth, and the shepherds, the wise men, and so on and so forth. But today we’re talking about a week after Jesus’ birth, when Mary and Joseph brought Jesus to the temple. 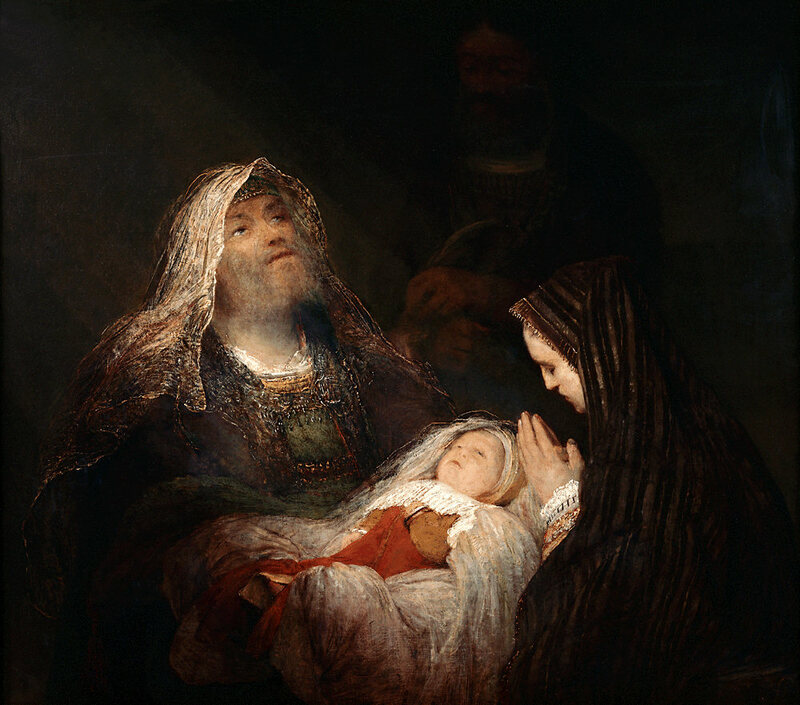 Essentially Mary and Joseph were going about a tradition Jewish practice of presenting their first born son to the Lord. They arrive there with the baby Jesus, and they encounter two people who would be forever changed and encouraged by Jesus. 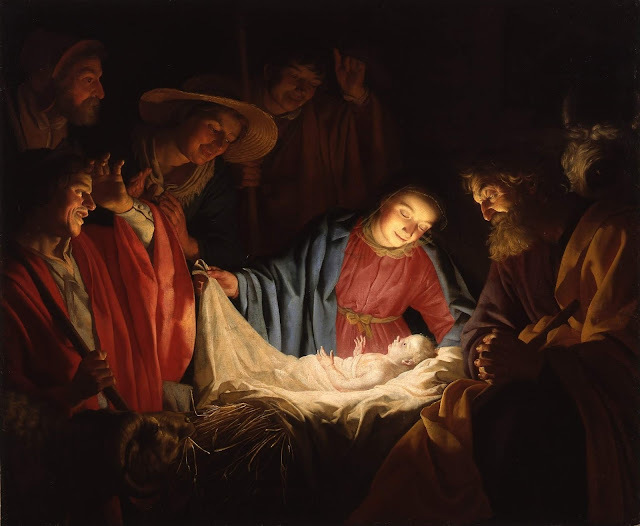 There were two people that saw the baby Jesus in the temple, on the day he was set apart for service to God. Their names were Simeon and Anna. It says the Holy Spirit was upon Simeon, and the spirit brought him to the temple that day for the purpose of encountering Jesus. You ever go somewhere and know within that it’s a divine appointment? I’ve had that a lot in the past few years. I felt the Spirit drawing me to Chicago, to the training college. But I had to wait patiently on God. Glory for Israel, and a light to the whole Earth. Simeon waited for hope, waited for change, and now he finally saw it. Next, there is a woman who is described as very old, her name is Anna. It says that she got married at the traditional time, which would’ve been between the ages of 12 and 16 in Jewish culture, and that seven years later her husband died, and she had been a widow since then, to now the age of 84. It says she constantly fasted and prayed. She was a godly woman. She wasn’t waiting in sin, she was waiting in godliness, praying and fasting regularly. It says “she never left the temple, but worshiped God night and day.” Amazing. She had lost her husband at a very young age. She had waited all her life. But she didn’t wait in bitterness or regret. She waited in daily worship. Finally, the day came, and it says Anna came up to Joseph and Mary, and she gave thanks to God. And it says she started speaking to everyone around who was waiting for the redemption of Israel. She was a prophet after all, anyone know a lady like that? I’ve met a few. And they gotta tell everybody! So God had come into human history. Even at only one week old, Simeon and Anna were blessed to recognize that Jesus was the promised savior. They waited faithfully, and God showed himself to them. God hadn’t come as most might’ve expected at the time. He came humbly, quietly, as if he were a secret agent, smuggled into his own kingdom. There were attempts on his life, even as a baby. He was nearly murdered by the purge ordered by Herod. Yet God’s plan could not be thwarted by the will of men. No massive armies of thousands marched with Jesus, but instead a Holy Spirit was upon Jesus, conquering quietly through his words and deeds. Jesus through the word of God began a conquest of human hearts and souls that would spread itself across the whole world, today proclaimed in every nation on the Earth, in thousands of different languages, and it all began with God coming into human history, born as a baby, to young parents, in the deserts of the middle east. God always tends to surprise us with how he does things. So in conclusion, Jesus came as a baby two thousand years ago. He did his work, and completed it. Then he ascended to heaven. 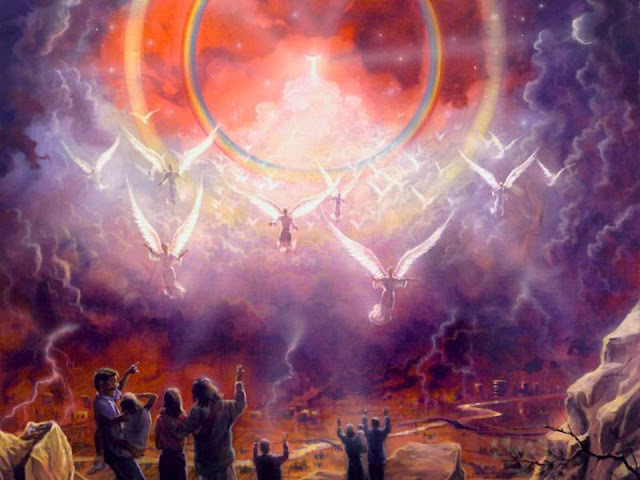 Today we know that Jesus Christ is coming back one day soon, to set up his kingdom on Earth. And many of us may be expecting for our savior to come again as a meek and mild servant, but the book of Revelation tells us that Jesus Christ will come in great glory, and every eye will see Him. And he will judge all the nations, and smash them to pieces like pottery, as he sets up his new kingdom. 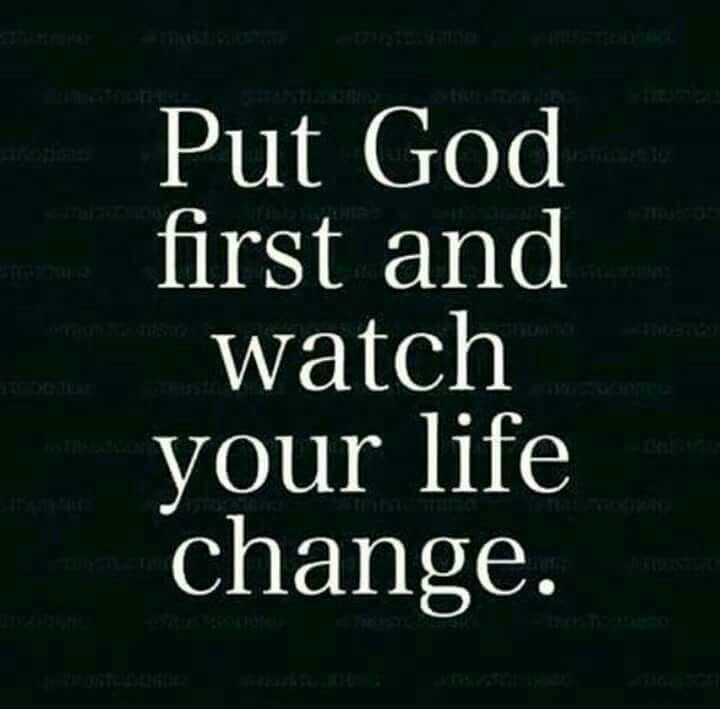 This is why we must be ready, waiting patiently, day in and day out, year by year, faithfully serving God, forgiving others, and loving our neighbors. We are in this for the long haul, all the way to death and eternal life. Jesus came as a baby. Jesus lived a perfect, holy life. Jesus was crucified as a substitution, as payment for our own sins. Jesus resurrected from the dead after three days. Jesus showed himself to be alive to many witnesses. Jesus ascended to heaven promising to return. And Jesus will return in power and glory, to reign over the whole Earth, and judge the nations. Therefore, let us be ready. Let us wait patiently, just as Simeon and Anna did, their whole lives. We will see God face to face one day, just as they did in the temple. Bet your life on it. Merry Christmas season! This brings to mind the important question: What is the true meaning of Christmas? Why do we celebrate Christmas? The truth is Christmas is all about Jesus Christ. Jesus was born into the world. God who made Earth, who made the stars, the moon, and all the galaxies, He came to Earth as a little baby. At Christmas we partake in traditions that remind us of Jesus. Look at the Christmas tree. 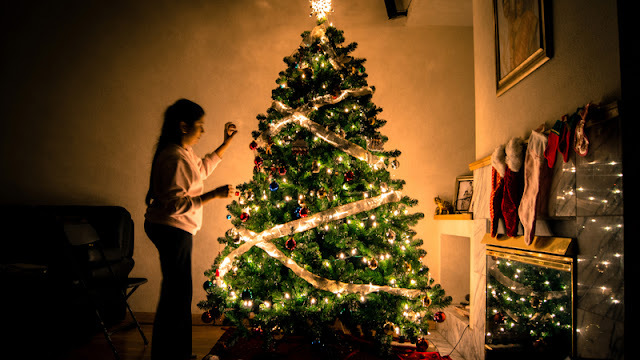 Traditionally the Christmas tree is chopped down and brought into the house for the Christmas season. 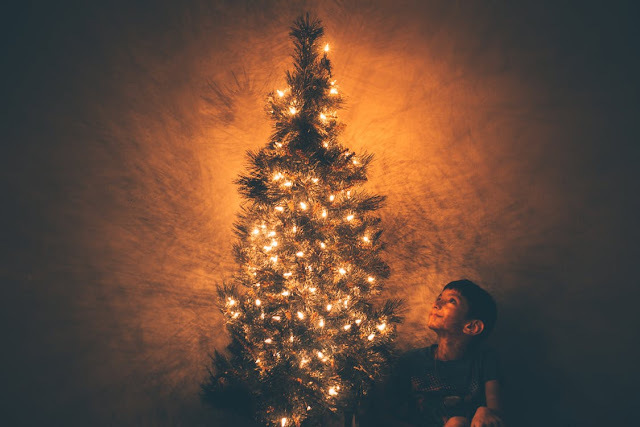 In fact in my family each year it was our tradition to go out to a tree farm, pick a tree as a family, cut it down, and bring it home together. But why? Why do we do this? The Christmas tree represents the fact that Jesus died on the cross for our sins. The tree represents Jesus. Yet despite the fact that Jesus was killed for our sins, he reclaimed his life three days later. In the same way, we cut down the Christmas tree, but then put it in water, and it remains alive for the Christmas season. This represents how Jesus rose to life, to give us life. We decorate the Christmas tree, to remind ourselves that Jesus is alive right now, in heaven with God the Father. And Jesus is glorified. He is “decorated” in a way, with great glory, and honor, and majesty because of His great victory to free us from sin. And Jesus is coming again soon to be king of the Earth. Unfortunately, in our country many of the people here have lost touch with these traditions. Everything we have in the USA is because of God. All the technology, medicine, food, entertainment, and freedom, it’s all from God. But sadly people in America have forgot that fact, and they’ve started to believe that all this wealth we enjoy is from themselves, and not from God. But I encourage you children today to realize and believe and know that all we have is because of Jesus Christ. He is the one who gives every blessing. Honor God during the Christmas season, and worship Him. What about the candy cane? Let it be a reminder of Jesus. 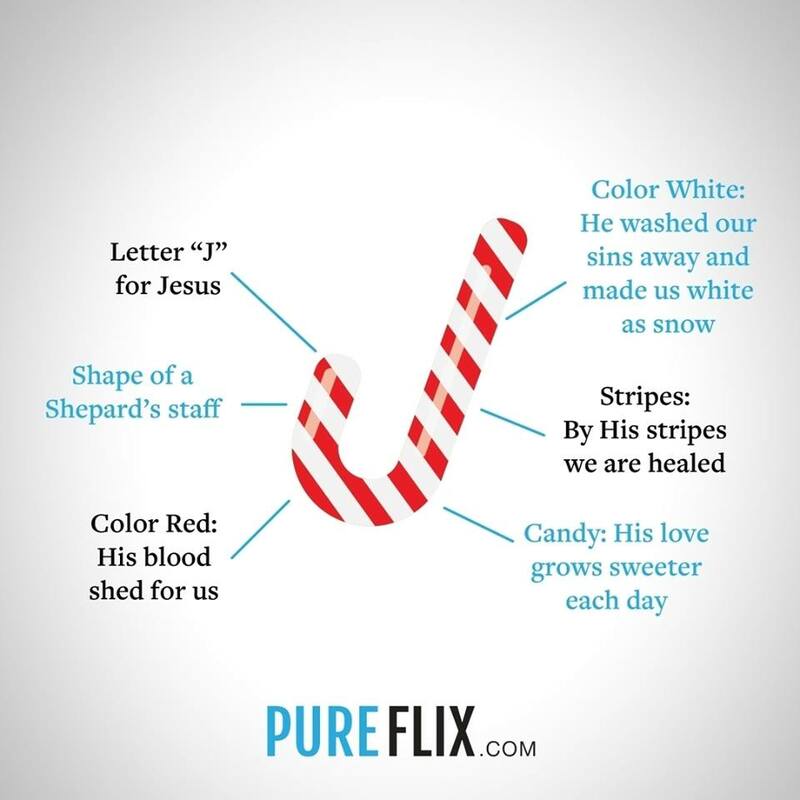 The candy cane is shaped like a “J” to remind us of Jesus. When you flip it around the other way, it’s shaped like a shepherd’s staff. Jesus is our shepherd, and we are his sheep. It’s striped the color red, because Jesus our Lord bled for us on the cross. Its striped white as well, because Jesus washed away our sins and made us white as snow. The design of the stripes reminds us that Jesus was scourged, whipped, terribly, and by his stripes, we are healed. 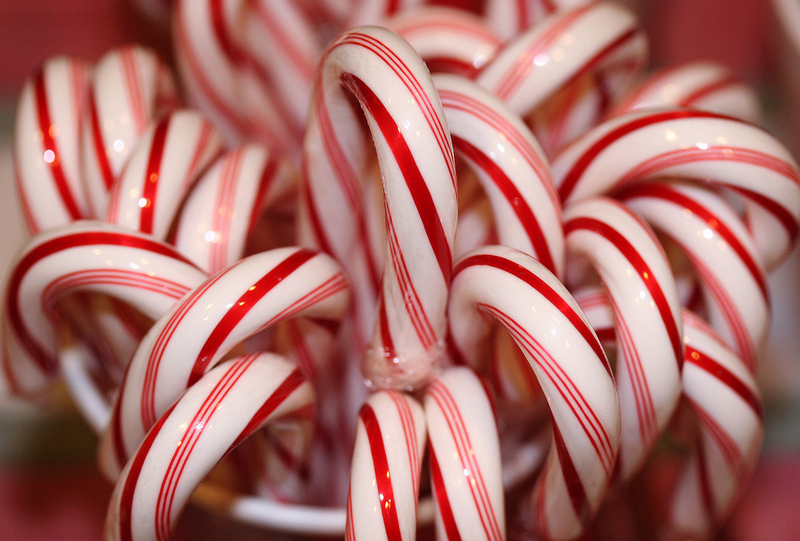 When we eat the candy cane it’s sweet, which reminds us that Jesus’ love for us grows sweeter every day. So this Christmas season children, as you eat good meals, and receive gifts and give gifts, remember that we give and receive gifts because we’ve been given and have received the greatest gift imaginable: Eternal life, to live forever, because Jesus Christ, our God, the one who made the world, came into the world He made, on a rescue mission to save you and me from our terrible sins. Jesus loves you. One of the most important things about the Christian life is that we understand it's a lifelong journey. It starts the moment we receive salvation through Jesus Christ, but it doesn't end there. That is just the beginning. The hard part comes after we get saved, and we begin to live the Christian lifestyle. That is where many believers fall short, and end up drifting away from the message of truth! Don't let that be you. Recognize that you will have to fight for your Christian faith, and fight hard for it each day. Jesus never said it would be easy, but He did promise to be with us through the struggles. One of the best things you can do is to order your life by developing a detailed schedule for each week. Make sure you're attending church services locally at least once a week. Why? This helps you stay connected to the gospel message, and receive spiritual energy for each week ahead. That's why God commands his people to come together for fellowship. Secondly, make sure you are attending a weekly Bible study or small group. The bear minimum for a Christian believer is weekly services and weekly Bible study. You may see some church members who don't regularly attend Bible study and only occasionally attend Sunday meetings. Don't imitate their practices! Find the people in your church who really deeply desire to live out the Christian faith, and gather together with them. Use each other to encourage each other toward deeper practices like lectio divina, deep prayer, fasting, confession of sins to one another, evangelism in the community, and discipleship groups. Develop your Christian life into a daily, weekly, monthly, and yearly lifestyle of obedient faith. Determine in your mind that you're in it for the long haul. Set up a weekly pattern of prayer, Bible reading, small groups, volunteer work, and worship. And get ready for the ride of your life. God is going to take you places you can hardly imagine! 1. Evangelize to the lost - this means to share the gospel, your testimony, and encouragement with others throughout the week. Find ways to make it happen! The souls of lost humanity hang in the balance. 2. 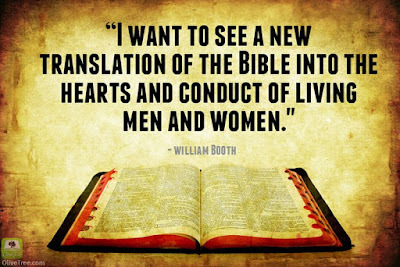 Read your Bible daily - The Bible is our daily bread, we need the words of God to strengthen us in this broken world. Set aside time each day to read a chapter or several, and study them carefully. 3. Pray everyday - prayer is oxygen to the Christian. Learn techniques to pray effectively and develop a pattern of practice. As you mature, add in weekly times of fasting. 4. Tithe properly & give regular offerings - Tithing as a general principle is that you give 10% of your income back to God. 10% is the minimum, but the New Testament standard is to give all, so begin to give more as you are led by God to do so. Give where you are fed, give to your church. Also give offerings as you feel led, for other ministries and for world missions. 5. Keep the sabbath rest - We are no longer under the Old Testament law of Moses. But the sabbath rest is still an important teaching from God. We should be taking one day a week to rest, seek God, and abstain from work. 6. Care for the needs of the poor - There are various ways to care for the poor. Food pantries, soup kitchens, visiting shut-ins, giving out clothing, visiting those in jail, homeless shelters, and giving out water to those on the streets. These are express commands in scripture from Matthew 25:31-46. 7. Serve in various ways in church ministry - Serving in the church is an effective way to minister to those of the body of Christ. Don't be part of the dreaded "80-20 rule" which says "20% of the people do 80% of the work." Don't be a martyr either, but please do serve. Ask to speak to your pastor or a lay-leader one on one and ask about how to get involved or how to start a new ministry. The views in this article do not necessarily represent the positions or opinions of the Salvation Army, it's partners or affiliates. The statements made belong solely to those making them. The Salvation Army is a great organization to support during the Christmas! Full disclosure, I work for the Salvation Army and have for the past four years. But I'm very careful about where I donate my money. It's always wise to consider carefully which organizations you give your money to. Here are ten reasons why I think you should support the Salvation Army this Christmas season! 1. The Salvation Army has a proven track record going back over one hundred and fifty years. In fact the famed economist Peter Drucker said, "The Salvation Army is the most effective organization in the USA." And he also said, "The Salvation Army's goal is to turn society's rejects alcoholics, criminals, derelicts into citizens." In fact the co-founder of McDonalds Joan Kroc so trusted the efforts and effective results of the Salvation Army that she donated 1.9 billion dollars to the Salvation Army to build community facilities today known as "Kroc Centers" across the USA. 2. 82 cents of every dollar donated goes directly to help those in need through feeding programs, housing, rent assistance, clothing, homeless shelters, and rehabilitation programs among dozens of other programs. 3. The Salvation Army is a biblical Christian organization with a mission statement indicating, "the mission of the Salvation Army is to preach the gospel of Jesus Christ and to meet human needs in his name without discrimination." The SA is not just focused on material needs, but spiritual needs as well! 4. Disaster services is a key service of the Salvation Army, where volunteers and officers will serve those directly affected by disasters, severe weather, and other concerns through giving out food, providing housing, and spiritual counseling. If it's on your heart to support those affected by disasters, please give this season! 5. The Salvation Army assists over 25 million people each year in the United States. There are thousands of corps facilities around the USA serving those in need and preaching the gospel. 6. One of the great ministries of the Salvation Army is prison ministry, and the hope of helping those who are lost in crime, addiction and sin is a great hope indeed when considering where to give during Christmas season. 7. Children's After School activities are one of the cornerstones of Salvation Army corps facilities across the USA. The SA serves children through daily after school programs, character building activities, band classes, singing companies, vacation bible school, and other ministries as well. 8. When I began working for the Salvation Army and saw the thousands of kid's toys that they distribute during Christmas, I realized that being in the SA is kind of like being a mini Santa Claus! Children ought to have gifts to open on Christmas, SA makes that possible. 9. I think the single most exciting and dynamic ministry of the Salvation Army are the Adult Rehabilitation Centers. These facilities house those attempting to break free from drug and alcohol addiction. I've worked in this ministry personally, and I've seen how these men and women are hungry for hope and change, and the word of God, and how Jesus Christ saves them from addiction. It's amazing! 10. The Salvation Army preaches the gospel to many in our society who might otherwise never hear the gospel. One of the chief goals at the founding the SA in London was to reach those unreached by other churches. This continues to be an important goal of the Salvation Army, to preach the gospel of Jesus to those who might otherwise never walk into a church. Is the Salvation Army a church? The Mission Statement of the Salvation Army: What's your mission statement? We are all witnesses of the sufferings of Christ. We’ve studied his life, and how he lived and suffered for each of us. Since we identify with Christ’s sufferings, we are also partakers of those sufferings. We suffer for Christ. And so we also have access to the glory that is going to be revealed. Christ charges each of us, to shepherd the flock of God. Pour your heart and soul into the work of the ministry. Don’t do it because you have to, or because God is making you, or you feel obligated. But simply serve willingly. Don’t serve for any earthly gain, not for status, or for power or money, but eagerly serve for Christ, to the glory of Christ, humbly, because you love Jesus. It says 'do not be domineering over those in your charge.' But instead be an example to them. Why should we do this? Because, as shepherds, we know the chief shepherd will appear, and he will judge us impartially for how we’ve conducted those placed in our care, during our time on Earth. We will be held accountable. It amazes me and fills me with holy awe that God would entrust such a vital task to people like you and me. But God seems to choose the least likely people to press forward his plan for humanity. One of the most thought provoking and evocative scriptures for me is from James 3:1 and it says: “Not many of you should become teachers my fellow believers because you know we who teach will be judged more strictly." 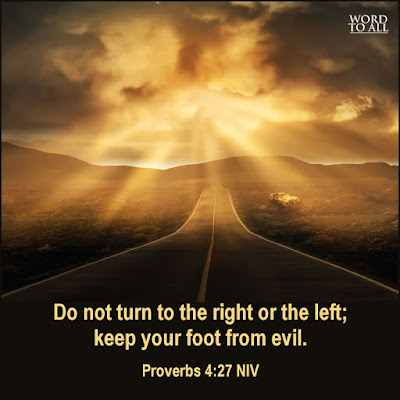 This scripture fills me foreboding, and well it should. We’ve got a general judgment, and then there's the judgment God will render on teachers and leaders of the church, which will actually be a more strict judgment. There will be more guidelines and rules and higher standards that we were suppose to meet. I'd be worried that I wouldn't make the cut in the first one, much less the second! But God is faithful. He makes the impossible, possible. If we respond in obedience and prayer through this life, He will ensure we make it home safely. My concluding thought to all of us, is that we tremble at this thought, and so conduct our business before God that we are found to be without reproach, and working impartially to bless God’s people. We’ll break down this theological statement and examine it part by part in light of scripture, to try and understand how God goes about completing the victory of Christ Jesus, how he judges the world, how he rewards those who are righteous, and how he punishes those who choose wickedness. So we know from the scriptures that God formed man from the dust of the ground, and breathed into him life, and while our present body is doomed to die because of the fall, our soul, our spirit, will return to God after we die (Genesis 3:19). In short, we are more than a body. We each have a soul. And that soul is eternal (Handbook of Doctrine, 2013, p. 225). Next it says, “we believe in the resurrection of the body.” It’s important to remember that in the next life we won’t be vapid spirits, like a mist floating around in the clouds. We Christians believe that we will be given new bodies in the next life. Philippians 3:21 says that we will have new bodies, transformed to be like Christ’s glorified body. 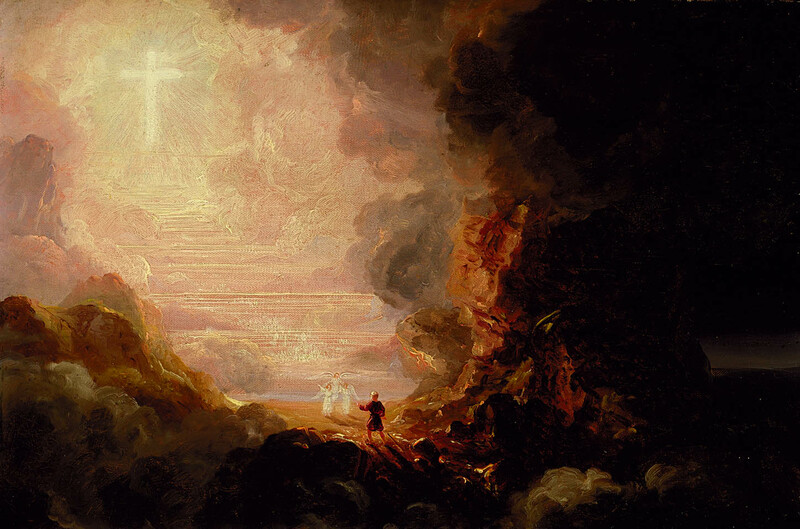 When Jesus resurrected from the dead, was he a ghost or a mist or wisp of cloud in the air? No, Jesus was physical. He ate with his disciples after his resurrection (Luke 24:35-48). We as Christian salvationists do believe in the resurrection of the body, and we want to avoid over-symbolizing our future eternal life as a sort of non-physical life, with harps floating in the clouds. We will not be “disembodied spirits” but whole persons in Christ (Handbook of Doctrine, 2013, p. 226). God’s design for the restoration of Eden is much more than a pop cultural picture of eternity. Next our truth statement says, “We believe in the general judgment at the end of the world.” Theologians of the past were not as politically and religiously correct as we are today. They weren’t overly concerned with not hurting people’s feelings or sugar-coating the “justice” side of God’s character. They just put it out there. And we know from the scriptures, that there will come a day when the righteous and the wicked will stand before God, and give an account for how they lived (Romans 14:12-13). Theologians often refer to this event as the “great white throne judgment” which comes from Revelation 20:11-15. We should always be careful as Christians, how we are living. We want to be quick to love, and we want to avoid condemnation of others, and we want to make sure we’re loving God with all our heart, soul, mind, and strength. And we want to make sure we’re being faithful stewards of our time and resources. And we also want to make sure we’re quickly repenting of sins as they come up in our lives. Why? Because we know there will come a day when we will stand before God and give an account of our lives (Handbook of Doctrine, 2013, p. 226-227). Thankfully we have Jesus Christ who is our advocate before the Father, and who has washed away our sins (1 John 2:1, Hebrews 10:10-12). For those who are vindicated on the day of judgment, we believe “in the eternal happiness of the righteous.” And for those who are condemned on that day we believe “in the endless punishment of the wicked.” Let’s unpack these two last statements. In fact, the book of Revelation gets quite specific about this city, indicating the dimensions of this city, similar to how Noah was given the exact dimensions for the ark (Genesis 6:15, Revelation 21:16-17). 12,000 stadia is about 1,400 miles long, and tall. So we see a city, some think it’s a giant pyramid in shape, others would say it’s a giant cube. But the point is it’s real, it’s a concrete reality. We want to avoid over-spiritualizing these images, as if we can’t really know what they mean. Revelation is showing us that we won’t merely be vapors in the clouds with harps, but we will be citizens of an eternal city of God. Yet we also know that there is a place reserved by God for those who have rejected him and lived lives of sin and wickedness (Handbook of Doctrine, 2013, p. 227-228). The scriptures refer to this place by many names, some of them include: Sheol, Hades, outer darkness, and hell (Psalm 16:10, Luke 16:23). Hell is rarely mentioned in the pulpits of our modern age, and I do want to state it clearly that hell is a real place. It exists, and the scriptures talk about it, so we should be aware of it. Jesus mentioned it several times, and in fact stated that if a part of us causes us to sin, we ought to be so diligent as to cut it off, to avoid the fires of hell (Matthew 5:30). Now will hell be a place of literal fire and burning? Maybe, maybe not. Perhaps it will be more like a great, empty, cold darkness. We don’t really know. But scripture gives us many images of hell as darkness, gnashing of teeth, conscious torment, being eaten by worms, and burning/fire (Matthew 10:28, Revelation 21:8, Mark 9:48). There are two primary views within evangelicalism regarding hell, one is our view which is conscious eternal torment and the other view is called “annihilationism” (Peterson, 2014). Annihilationism is the idea that the souls of the wicked are destroyed at the judgment, not sent to a place of torment (Boyd & Eddy, 2009). But we in the Salvation Army hold to the view of conscious eternal torment. Both views would be considered within the larger family of evangelicalism, but our movement specifically holds to the eternal torment view (Boyd & Eddy, 2009). The point of all this is, we don’t want to go to hell, and we don’t want our neighbors to go there. That’s why evangelism is so important, and that’s why Jesus told us to “go” in the great commission (Matthew 28:18-20). In conclusion, we believe that our souls are immortal, our physical bodies will be resurrected, that all will be judged, and that the righteous will go to eternal life, and the wicked will go to eternal punishment. Boyd, G. A., & Eddy, P. R. (2009). Across the spectrum: Understanding issues in evangelical theology. Grand Rapids, MI: Baker Academic. The Salvation Army handbook of doctrine. (2013). London: Salvation Books. Walton, John H. (EDT)/ Keener, Craig S. (EDT). (2016). Cultural Backgrounds Study Bible: New International Version, Bringing to Life the Ancient World of Scripture. Harpercollins Christian Pub. I try to exercise regularly. I have to exercise a great deal and be very, very careful about how I eat, because my body is very good at gaining weight and not very quick to lose it. Can anyone relate? I always have eggs for breakfast, and coffee. I try not to eat again all morning until lunch time. At lunch I eat a large meal, my largest of the day, and then I try not to eat again until 5:00 PM dinner. I play basketball for an hour and a half, full court, on Mondays and Thursdays. Three times a week I do a 20 min workout routine. It's amazing how much time and effort we put toward our physical bodies. We fight very hard to keep fit and stave off old age. At least for as long as we can. But we know that each of us will one day die, and our bodies will pass into the ground, and our souls will return to the God who made them. The Apostle Paul, when he wrote his letter to Timothy, told his young apprentice that physical training does have some value. But Paul indicates that training in Godliness has value for all things. How much time and effort do we spend toward say, our jobs? Forty hours a week? And how much time do we put toward our families? Many hours of time. These things are important. Our jobs help us pay the bills, and provide for our families. Our families are very important. But do we have the right order of priorities? 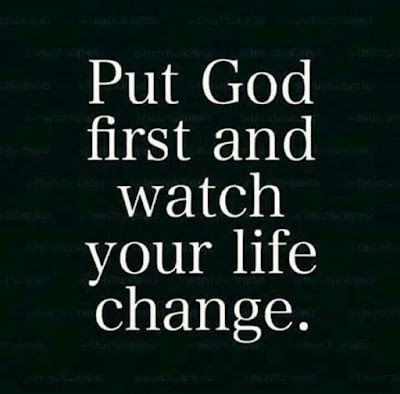 Is God first in our lives, and do we spend real time with Him? Are we training ourselves in Godliness? Today we’re looking at the topic of developing great habits. So we’re going to look at a theological concept, exam some scripture, and then consider our applications. One, recognize that you’ve been saved by the grace of God found in Christ. Jesus Christ, through his life, death on the cross, and resurrection from the grave has paid our debt of sins. Your sins are washed away if you are in Christ. You’ve been born again. You’ve walked out of the tomb of sin and darkness, just as Jesus left the tomb and showed himself to many witnesses. If you’re in Christ, your sins are gone. Jesus has satisfied the wrath of God against sin by dying in your place. Your sins, that whole record of wrongs is wiped clean because your sins were put on Christ, at that moment on the cross when Jesus cried out: “Father, father, why have you forsaken me?” Jesus took our sin, and gave us his righteousness. Theologians call this the great exchange. Two, Paul next always tells us that we must live the most pure and holy lives in response to this free gift. We’re exhorted to set aside sins of the flesh, and to embrace the fruits of the spirit. It takes dedication to walk in obedience in the Christ-life. If we skip either of these elements we can begin to drift away from Christ, and we begin to be in danger of losing our salvation. There are two key words in that statement I’d direct your attention to: “Obedient faith.” Faith in Christ’s atonement. Obedience to Christ’s commands. And what's the verb? “Continued.” We have to walk the walk, day by day, month by month, and year by year. Obedience and faith. If we don’t obey Christ, then we are in danger of antinomianism. That’s a big theological word, but it means that we believe in Christ, but never change how we live. We keep on sinning, and then say “God will forgive me.” That’s not how a real Christian lives. So we need obedience. The other danger is that we can become too focused on obedience and trusting in ourselves for our salvation. We start to slowly put our faith in self, and our own attempts at righteousness. We become a Pharisee. Either path leads to spiritual disaster. So we must walk faithfully and obediently, with Christ. And to do that, we have to consider how we can develop Godly habits. We’re going to approach this topic of developing great habits from two perspectives. The first perspective is positive practices, the second is negative practices. In other words, we’re looking at biblical commands that tell us “to do” certain things, and scripture that tells us “don’t do” certain things. Then we’ll address applications. Verse 11, when your being tempted it is usually acceptable to simply flee the situation. I’ve been there. Don’t stay in the den if you have a choice, get out. That’s biblical. And it says, while fleeing from temptation, pursue righteousness, godliness, faith, love, endurance, and gentleness. So on one hand we flee, on the other we actively pursue. When you pursue someone, or something… let’s say your dog runs away from home. And you’re out there looking for him, you follow his trail, and your after him for hours if necessary. In the same way, when we pursue righteousness, and godliness, it is an active pursuit. It’s a positive, intentional pursuit, something that we incorporate into our daily lifestyle. Too often we as Christians can become too locked in, too normalized. To follow Jesus is a living, breathing, exciting process. 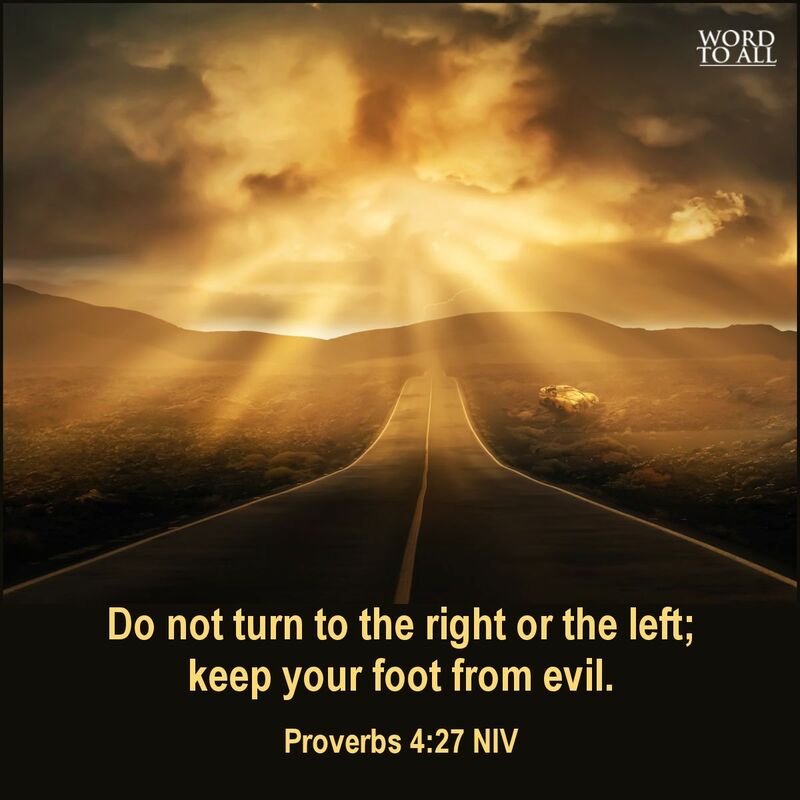 If it’s become too normal, then it’s time to stir it up, and go deeper with God. Pursue faith, faith is an unshakable trust in God. We don’t simply believe that Christ is alive and well in heaven right now, we know it. We know it through and through. When we see chaos around us, division, poverty, and suffering, we are not shaken, not broken by it, instead we center our focus on Christ, and recognize with calm and peace, that His plan is continuing effortlessly forward. Pursue love. Love is not a feeling, not in a biblical sense. Jesus said this is love: To give up one’s life for one’s friends. Love is action, love is doing something. Love is stopping by at your grandma’s house for no reason, because you love her. Love is calling your dad and just talking for an hour. Love is volunteering for Christmas kettles. Love is praying for your friend who doesn’t know Jesus. Love is action. Pursue endurance. Does that seem like a strange thing to pursue? Most of us have been through crazy times in our lives when we’re shocked by what is happening. A family member dies. We lose a job. Our child is addicted to drugs. A dark depression sets in. We are in more need of endurance than we might realize. Be ready to fight through when dark times come. Winston Churchill said if you’re going through hell, Keep going! Pursue gentleness. Men, gentleness is not our greatest ability. We can often be harsh & cold. We need to pursue gentleness. Especially with your spouse, and your children. Be gentle. Women, let’s talk. Have you ever said something rude to your husband in earshot of others? That’s not gentle. Have you ever, while disciplining your children, later found yourself using that same tone with your husband? Believe it or not, your husband needs gentleness from you too. We looked at some things “to do” and now we see things to “abstain from.” To abstain means to never touch those things. 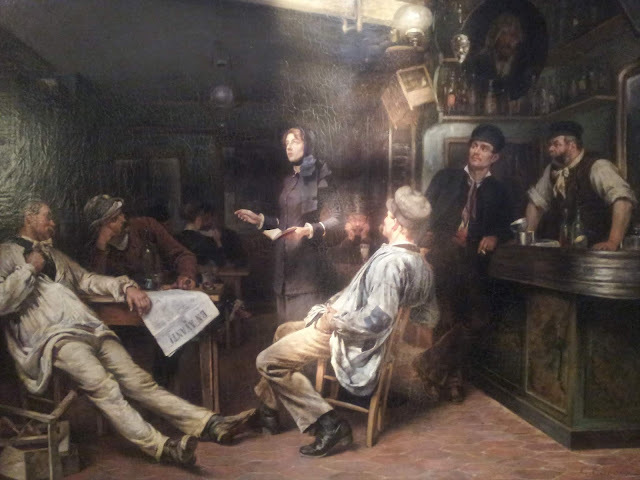 If I’m abstaining from alcohol, I never buy it, I don’t think about it, and I don’t hang out in bars. I stay away from it. In the same way Paul exhorts believers to stay away from various sins that threaten to shipwreck our Christian journey. A few things jump out to me. Sexual immorality is always at the top of the list. It’s a sin that we’re especially susceptible to. If we aren’t proactively resisting those sexual temptations, they can and will take over and enslave us. Idolatry jumps out to me. Idolatry is when we put something in our lives before God, like money, or our marriage, or even ourselves. Hostility jumps out. How often does hostility occur in our relationships? Or when we’re driving? Divisions and dissensions. We’ve all seen people at our work places, or in our circle of friend, who like to spread gossip, and stir up drama and controversy. The Bible very clearly tells us, don’t be one of those people. So I’d encourage you to look over this list in greater detail on your own time. But do recognize the seriousness here. At the end of this list it says “Those who do these things will not inherit the kingdom of God.” So if we persist in these sort of sins, and refuse the Spirit’s leading, we won’t be going to paradise. We’ll be going to the other place. Take it seriously. So, how can we put these various commands and practices into action in our lives? To truly live as a “real Christian” takes an ordered life. It takes intentional weekly practices. I’d like to recommend a book to each of you, it’s called Celebration of Discipline by Richard Foster. This book is a best seller, and it’s really the gold standard of spiritual disciplines. It’s been instrumental in my life, to develop deeper relationship with God. The two great practices of all Christians are personal prayer and Bible reading. Let’s talk prayer. I set a goal of praying for 30 minutes a day, three times a day. 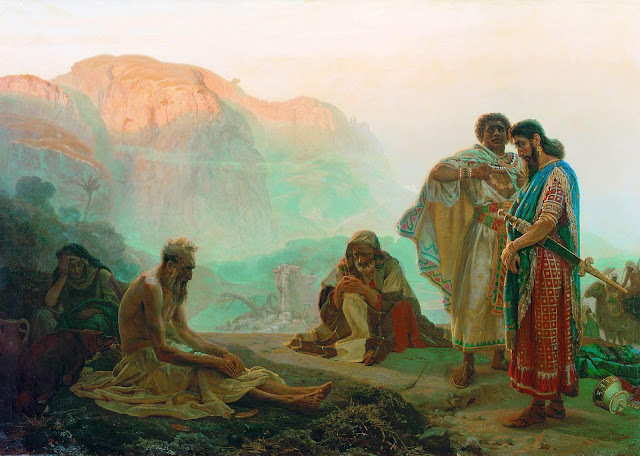 When Daniel was in exile in Babylon he prayed 3 times a day. Now, I’m a night owl, so the best time for my long prayer is at night. Usually I begin at 9:00 PM. If you’re a morning person like Major Bob, you could always wake up at 4 AM and pray then. I’d like to teach you a prayer that I think is great. Everyone look at your hand, doesn’t matter which one. First, your thumb. Your thumb is the one closest to your body. Pray for those close to you, your parents, friends, and family. Pointer finger. It stands over your thumb. Pointer finger means pray for your spiritual leaders. Here you can pray for Major Bob and Lisa, and for other leaders in the corps here. Believe me, they need your prayers, especially during this time of year. Your middle finger, it’s the tallest finger, standing above all the others, so for this finger you pray for those in authority. Pray for the president, and his cabinet. Pray for congress and the courts. And pray for local political leaders as well. The ring finger is our weakest finger. It really can’t do too much. So here we pray for the weak and the hurting. 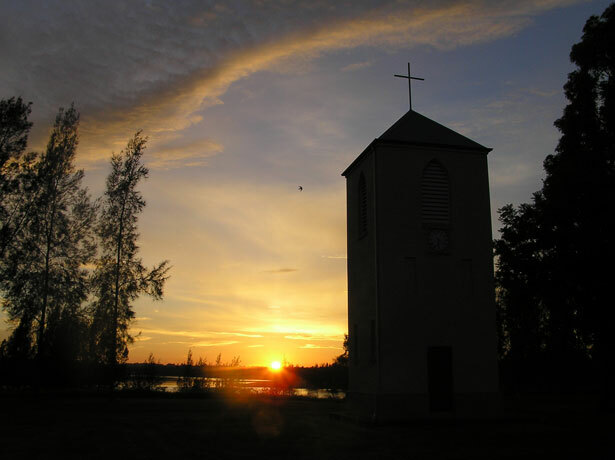 We pray for alcoholics, drug addicts, the abused, the lonely, orphans, widows, and so on. Finally, the pinkie is the smallest finger, so here we pray for ourselves and our needs and desires. Five finger prayer. Next, Bible reading. I usually read my Bible at the end of the day, after I pray, when I get in bed. I keep my Bible there, and I read one or two chapters from the New Testament and one or two chapters from the Old Testament. Keep it simple. But do it. Be in the word each and every day. It usually takes me a while to fall asleep at night, so what I do is I use my Bible app or my laptop to play an audio Bible to myself while I try to sleep. It’s great. Check out biblegateway.com. All these practices start by developing great habits. What do the psychology nerds say about developing a great habit? It takes about two months of “forcing yourself” to do it. It’s a little awkward at first, it’s a little bit of a chore, but after those first few months, it becomes a habit. This is how we develop great habits. It’s by doing it every day, even when maybe we don’t really want to, that it’s going to develop into a habitual practice. In conclusion, we can do this! God will make it possible. 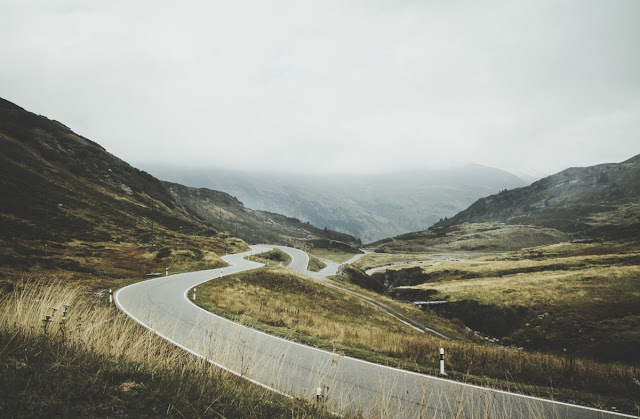 These are practices that will become great habits, that will transform your walk with Jesus, from something that may seem distant or stale, to something living, breathing, close, and active. Let’s pray. 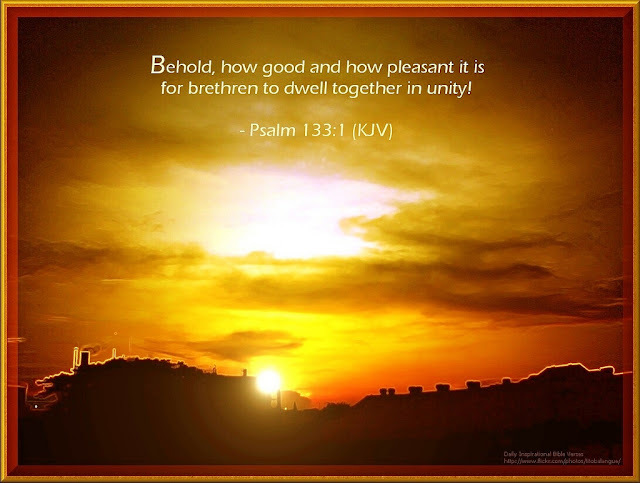 Overcoming Strife and Division: How can the church build unity among believers? 1 Corinthians 1:10 ESV "I appeal to you, brothers, by the name of our Lord Jesus Christ, that all of you agree, and that there be no divisions among you, but that you be united in the same mind and the same judgment." It's no secret that we live in a time of great divisions and differences. Western society seems to be in state of shifting identity. And as humanity in the west attempts to understand who they are and what values they represent, we see the same cultural conflicts begin to show themselves in the body of Christ. It's also no secret that the church of Christ on Earth is called to a unity that transcends the divisions and conflicts of this world. Sometimes the church has failed to properly show that unity. But instead of ragging on the church and it's failures, how instead can we help build toward unity? How can the body of Christ transcend cultural conflicts and ideological differences? Let's look at a few ways to approach this strife and division. 1. Recognize that deep differences in values do exist. There are major value differences between different sectors of our society. A student at MIT or Princeton working on a law degree or a doctoral thesis is going to have in most cases radically different viewpoints than a rural steelworker who lives in a town of 12,000 people. So be it. Differences do exist. 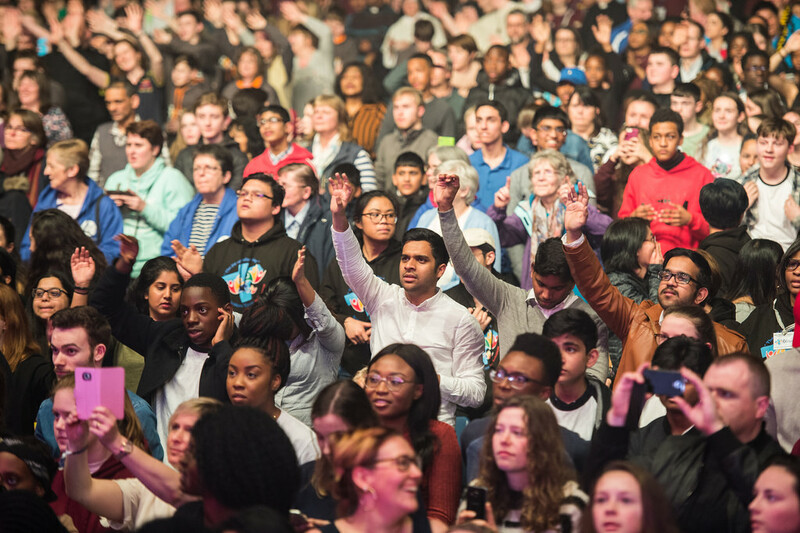 As Christians, how can we focus on what unifies us, instead of divisions? 2 Corinthians 13:11 ESV "Finally, brothers, rejoice. Aim for restoration, comfort one another, agree with one another, live in peace; and the God of love and peace will be with you." 2. Don't use the pulpit or the body of Christ to propagate your ideology. If you happen to be a social justice minded progressive activist or a stalwart constitutional conservative libertarian, in either case, as we worship together as Christians, and we both take up positions in leadership in our churches, whether volunteering for a can drive or serving as a youth pastor, learn to separate the ideology from the Christianity. The ideology says that political and cultural values come first, and Christianity comes second. Learn to reverse that. Christianity comes first, and the values of the word of God, and secondary all the values of the ideology, whether conservative or progressive, or whatever else it may be, socialist, or libertarian and so on. This is harder than it seems. Because we will want to use our platform to support our agenda. But should we? That is the real question. Is the pulpit for scripture, or for ideology? We are a deeply divided society, but, we can unite around the common values of the Bible and Christianity. Philippians 1:27 ESV "Only let your manner of life be worthy of the gospel of Christ, so that whether I come and see you or am absent, I may hear of you that you are standing firm in one spirit, with one mind striving side by side for the faith of the gospel"
3. Facilitate Communication and Relationships. It's pretty easy to argue with someone over social media or email. It's a lot harder to do the same thing eye to eye, in the same room. When we converse face to face, we are forced to realize that our opponents are just people. We realize these people are humans, not monsters. And that makes it hard to keep yelling and battling it out over ideas. Then again, even face to face there are some things that simply won't be able to be worked out. Different people have different viewpoints and opinions. That's how the world is. But we all also have many things in common. How can we build on those unifying beliefs to build unity in the body? This is not to say that if we all come together and talk then we're all going to sing kumbaya or anything. That sort of pie in the sky just isn't realistic. But with more communication, perhaps unity can be improved in the body of Christ. We have differing views, but we have common beliefs as well. Romans 13:8-10 "Owe no one anything, except to love each other, for the one who loves another has fulfilled the law. For the commandments, “You shall not commit adultery, You shall not murder, You shall not steal, You shall not covet,” and any other commandment, are summed up in this word: “You shall love your neighbor as yourself.” Love does no wrong to a neighbor; therefore love is the fulfilling of the law."